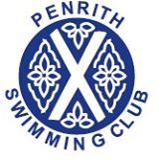 THERE were again a number of highly competitive events at the second round of the Penrith Swimming Club championships. Results: Girls, under seven years, 25m backstroke 1 Melanie Gray; 2 Ella Rinder; 3 Emma Dunseath. Boys 1 Matthew Golden; 2 Lewis Pamphilon; 3 Tom Collenson. Ladies’ 100m butterfly 1 Naomi Smith; 2 Rebecca Robinson; 3 Rebecca Halliwell. Men 1 Danny Smith; 2 Allan Armstrong; 3 Jason Heath. Girls, eight years, 25m breaststroke 1 Courtney Savage; 2 Hannah Johnson. Boys 1 Aaron Wharton; 2 Mark Stitch; 3 Zachary Purver. Girls, nine years, 25m backstroke 1 Georgie Harris; 2 Hannah Jones; 3 Laura Stitch. Boys 1 Jay Johnson; 2 Ben Lydon; 3 Nathan Purver. Girls, 10 years, 50m butterfly 1 Sophie Hather; 2 Whitney Savage; 3 Sarah-Jane Westgarth. Boys 1 Adam Huggon; 2 Arran Pamphilon; 3 Scott Harrison. Girls, 11 to 12 years, backstroke 1 Laura Huggon; 2 Rebekah Smith; 3 Lisa Banks. Boys 1 James Halliwell; 2 Martin Heath; 3 Jonny Pritchard. Girls, 10 years, 50m freestyle 1 Whitney Savage; 2 Sophie Hather; 3 Kim Berry. Boys 1 Arran Pamphilon; 2 Calum Forsyth; 3 Scott Harrison. Girls, 11 to 12 years, 4x50m, individual medley 1 Laura Huggon; 2 Rebekah Smith; 3 Lisa Banks. Boys 1 Jonny Pritchard; 2 Martin Heath; 3 James Halliwell. Girls, 13 to 14 years, 100m breaststroke 1 Emily Benson; 2 Elizabeth Curry; 3 Rebecca Halliwell. Boys 1 Allan Armstrong; 2 Daniel White; 3 Mark Nixon. Ladies’ 100m freestyle 1 Laura Huggon; 2 Naomi Smith; 3 Rebecca Robinson. Men 1 Danny Smith; 2 Jeff Marshall; 3 Stewart Marshall. Ladies’ 50m backstroke 1 Laura Huggon; 2 Naomi Smith; 3 Rebecca Halliwell. Men 1 Danny Smith; 2 Colin Slee; 3 Allan Armstrong. Schools’ shield Ullswater Community College A team.